The past has not been smooth sailing for The Drums. What began as a band seems to have reduced to only Jonathan Pierce. A promising start also came unstuck with a move away from the pure indie-pop that brought them to notice in the first place. Just who The Drums are is the key question, one Pierce asks obliquely in opening track "Mirror," repeating "I look in the mirror when the sun goes down/I ask myself who are you now." The answer seems to be what they were originally: a jangly guitar pop band full of yearning and solemn self-reflection. The self-reflection might be solemn, but the sound certainly isn't. 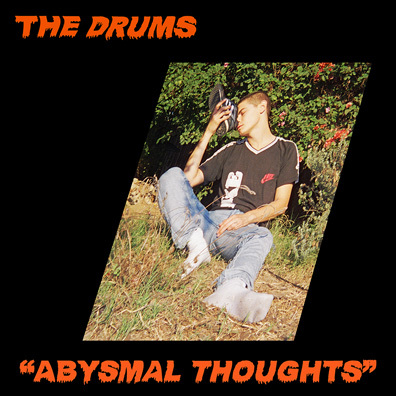 Most of the tracks on "Abysmal Thoughts" are driven by bouncy riffs and breathless lyrics. Pierce's voice senses the excitement, going up a few octaves at peak emotion. There's plenty of that. "I'll Fight For Your Life" finds him promising to do so, while "Blood Under My Belt" agrees "Yes it's true/that I hurt you/But I still love you." There are a few change-ups thrown in to try and keep things fresh, not with great success. "Head of the Horse" is a darker track that feels slight, stripped of the energy of purer pop numbers. Electronic sounds and a bit of brass creep in around the edges, particularly during the second half of the album. Its a pity that instead of understanding people’s feelings and joining them in succes like a coummunity sometimes they just dedicate to destroy love between them because they are afraid, someone’s only cause they may feel miserable with their lives, missing their rbh drums, and that’s really sad and i fell bad for those persons. Good luck Johnny with your parents, hope they understand as my parents did as soon they knew i was different. And Jasper is lucky for having you and viceversa i hope.